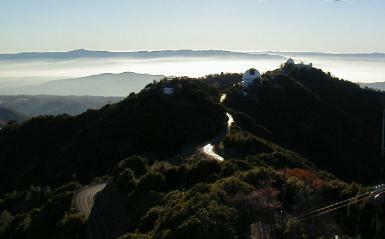 The 1 meter Nickel telescope on Mt. Hamilton. Fixed-delay interferometer and spectrograph being assembled on a 4x4 foot table next to telescope. 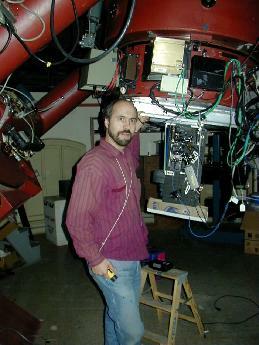 Dave Erskine next to the fiberoptic interface at cassegrain focus of telescope. This feeds starlight into a fiber leading to the EDI on a nearby table. 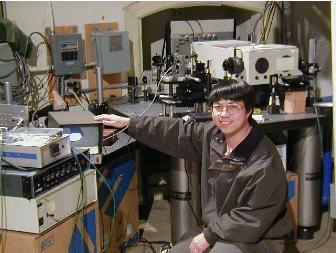 Interface was constructed by Jian Ge. After the nonfringing (ordinary) spectrum is removed, leaving just the fringing portion. This is made from four phased stepped exposures. Only the fringing component will advance in phase in response to the interferometer mirror stepping. The iodine cell provides a spectral reference. The iodine-only spectrum is observed by backlighting it with a white lamp. 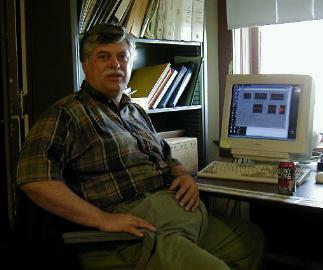 We need to take (b) and (c) only once, to provide templates for the iodine and stellar spectra. After that, we take repeated stellar-iodine exposures (d), one per desired velocity datum. 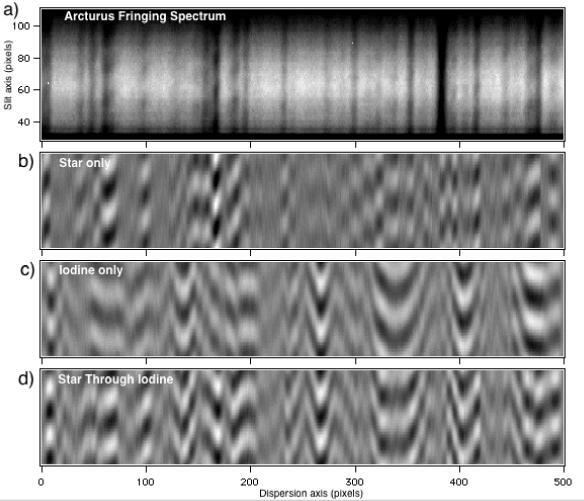 EDI-measured change in velocity of Arturus. 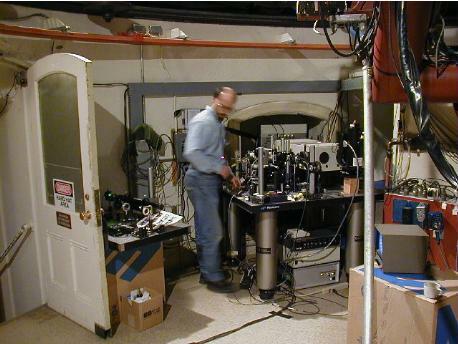 The instrument velocity precision at the observatory was measured as ~7 m/s by repetitively measuring bromine vs iodine spectra. Arcturus is not a planet bearing star, but was convenient for initial tests. 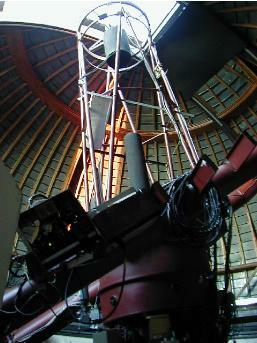 Plans to return for more observations on a planet bearing star were stymied by an end in project funding.